We have complete setup and provider of Envelope Printing Service in Delhi and NCR. We use high-quality fine paper and latest machines for envelope printing. The envelope printing service has more demand in different specifications as per clients needs. 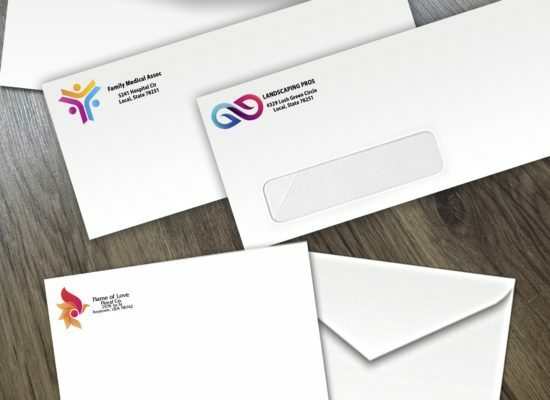 We provide Envelope Printing at a very reasonable price. Make your company first impression with your envelope you send. Use our custom printed envelopes which are a great tool to make your letter want to send it by every individual. Custom envelopes will complete whether your letter will be opened by the reader or not. They can judge your company’s image at the first time and your company’s other information like name, logo, and tagline and more. We use Digital printers for printing on the envelope. We use the color of your choice which absolutely matches with your envelope’s design. Our Digital Printing Service is very fast and cost-effective for minimum Quantity we promise you to ensure your delivery of envelope printing on given time through the digital Printing Service. You can select from our different types of varieties like Sizes, Colors, Flaps, Papers, shaped can make your envelope company image. Your envelope and letterhead design and setting is good nobody can ignore your letter and it added value in your company.